As the scandal surrounding Mayor Catherine Pugh has unfolded, the reaction by members of Baltimore’s City Council has varied, with some saying she should step down permanently, others stopping short and qualifying their answers. Today they spoke with one voice, calling for Pugh’s immediate resignation. 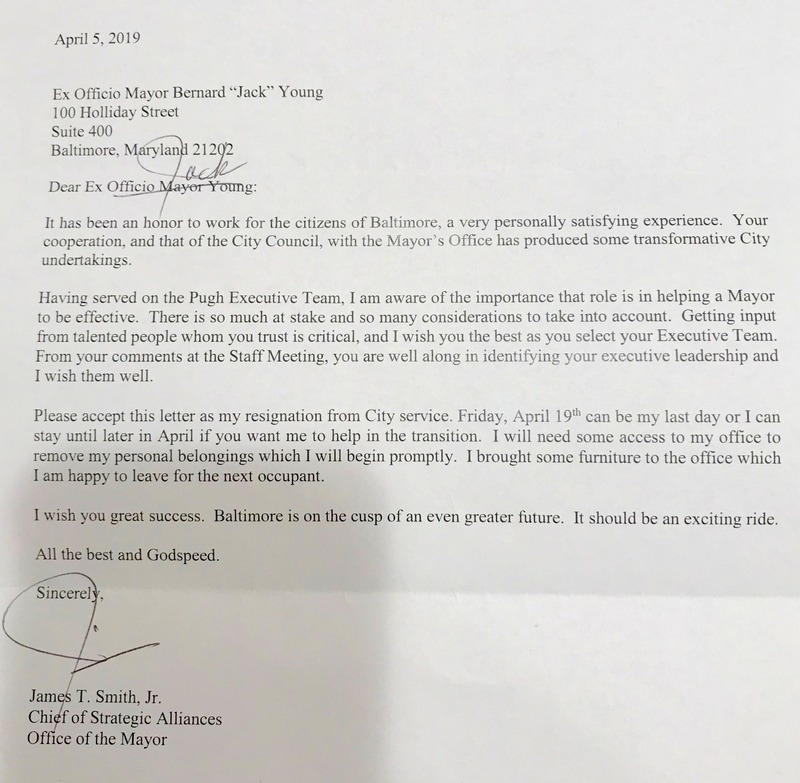 “The entire membership of the Baltimore City Council believes that it is not in the best interest of the City of Baltimore, for you to continue to serve as mayor,” said the two-sentence letter signed by every member of the council except City Council President Bernard C. “Jack” Young, who has been acting mayor since Pugh took a leave of absence last Monday. “We urge you to tender your resignation, effective immediately,” they wrote in a letter made awkward by the temporary leadership re-shuffle. Council members said what galvanized them were Pugh’s comments, circulating over the weekend via surrogates, that she planned to return to City Hall after recuperating from illness. “If that happened, we would be a national embarrassment,” said a Council member who asked to speak off the record and said all the signatories agreed to do the same. “Folks got together and said that is just unacceptable. Everyone wants due process and to be fair, but there was overwhelming evidence that. 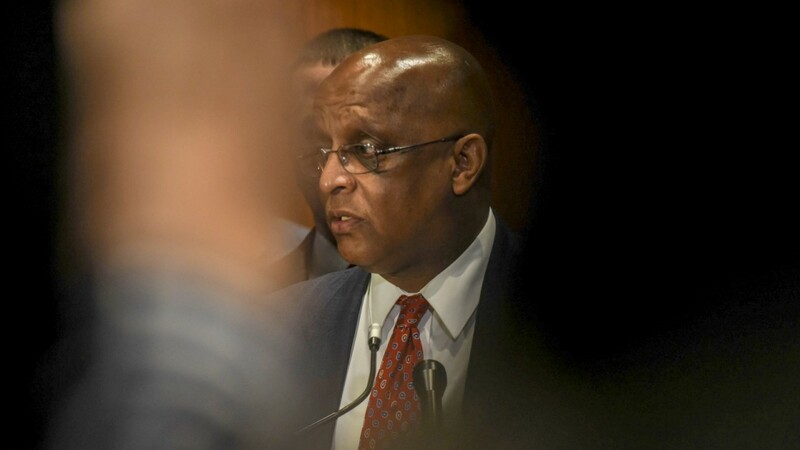 . . the Board of Estimates had been weaponized to dispense contracts in order to get money for books,” the council member said. Hours after the City Council released its call for her resignation, Pugh pushed back. Remaining in seclusion, Pugh has been both distraught and defiant, sources say, crying one moment and voicing her determination to return to office the next. She asserts to friends that she had “done nothing illegal” in her handling of Healthy Holly book sales and fumes that ”worse” offenders of ethical practices in city government have escaped the limelight. What has added to her fury is the absence of anyone at City Hall defending her actions or acknowledging her good intentions in distributing the Holly books to schoolchildren, including Acting Mayor Young. Pugh: furious that no one in City Hall is defending her actions or acknowledging her good intentions. The Maryland Office of the Special Prosecutor began a criminal investigation last week into unreported payments that Pugh has received, from entities that do business with the city and state, for her self-published books. Citing the pending criminal probe, her attorney has declined to comment on the payments, which now are believed to total $800,000, and on other matters regarding Pugh’s actions. Meanwhile, others in City Hall have been sending signals that they see no prospect of Pugh’s return. Although he has said bluntly that he has no desire to become permanent mayor, Young appears to be settling in for an extended stint at city government’s helm. He has, for instance, been putting together his own “executive team” to replace Pugh’s. That process was referenced in the resignation letter handed in by top Pugh aide James T. Smith Jr. on Friday. “Getting talented input from people you trust is critical, and I wish you the best as you select your Executive Team,” Smith wrote. “From your comments at the staff meeting, you are well along in identifying your executive leadership and I wish them well,” Smith said. Young’s spokesman, Lester Davis, couched his remarks on the Smith letter in general terms. Also settling in to a post-Pugh role is 6th District Councilwoman Sharon Green Middleton, who has assumed the title of ex officio city council president. Over the weekend, Middleton released to the media a formal statement on the death of House Speaker Michael Busch. The statement came from the person who was once Pugh’s spokesman, but who now represents Middleton – Anthony McCarthy. A veteran political insider who was also Stephanie Rawlings-Blake’s spokesman in her final days in office, McCarthy resigned as Pugh’s press secretary in November 2017. In addition to working for Middleton, McCarthy is apparently working for her husband as well. Shortly after sending out the email on behalf of Councilwoman Middleton, he sent reporters another message of condolence from union leader Middleton. “I am heartbroken with the sad news of the death of my friend Speaker Michael Busch,” said the statement from Glenard S. Middleton, Sr., executive director AFSCME Maryland, Council 67. Leader of opposition to Hanlon Park water tanks joins the agency she scorned.